All four units manufactured by Alstom for China’s Xiangjiaba underground hydro power plant have now successfully entered commercial operation. These 800 MW class units coupled with a 889 MVA generator are the most powerful hydroelectric generating units in the world. Each unit is able to supply the yearly electricity consumption of approximately 5 million inhabitants during a year. The four units were designed and manufactured in Alstom’s factory in Tianjin, China, and were delivered in a record time for such large machines – at an average of one unit every two months. After a first phase of reliability trials, the units began successively commercial operation between November 2012 and June 2013. Each unit for the Xiangjiaba plant includes an 800 MW class Francis turbine coupled to an 889 MVA generator. The generators are the only air-cooled generators in the world with 23kV windings. This high voltage allows an optimised electrical design for such a high power output. At almost 10 metres in diameter, the turbine runners weigh over 400 tones. With a total capacity of 6 400 MW the Xiangjiaba power plant, the Xiangjiaba plant will run on eight units. 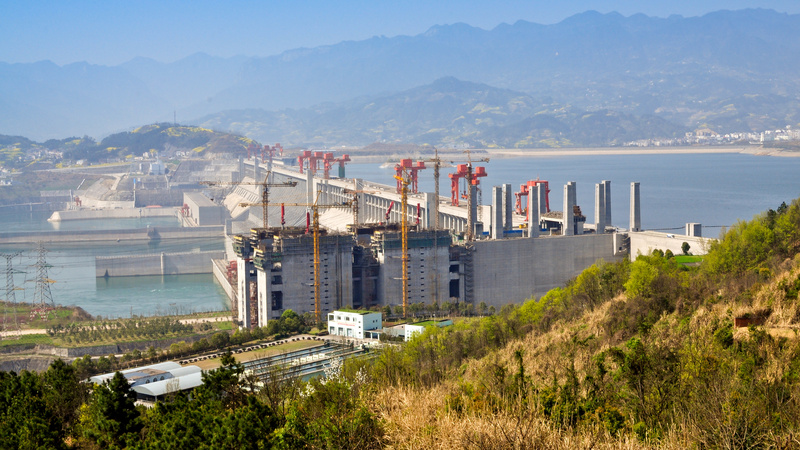 When completed, Xiangjiaba will be the third largest hydro power plant in China and an important power source in the country’s West to East Electricity Transfer Programme to satisfy the growing electricity needs of the country’s eastern provinces. “The successful delivery and commercial operation of the four units for Xiangjiaba plant represent another important milestone to showcase Alstom’s contribution to China’s hydro power development. With its operational excellence and state-of-the-art technology, Alstom is best positioned to work along with Chinese customers to actively respond to the new challenges for the country’s hydro power industry. It also tangibly demonstrates Alstom’s ability to be at the forefront of innovation in the hydropower industry, continuing to develop the best performing and largest machines in the world”, said Yves Rannou, General Manager of Alstom Hydro China. Present in China for 18 years, Alstom has been actively engaging in the modernisation of its industrial footprint, the development of local resources as well as the promotion of renewable energy sources such as hydro power. Alstom will inaugurate a new industrial site with a hydro Global Technology Centre in Tianjin this September that will be the largest hydro site of Alstom worldwide.